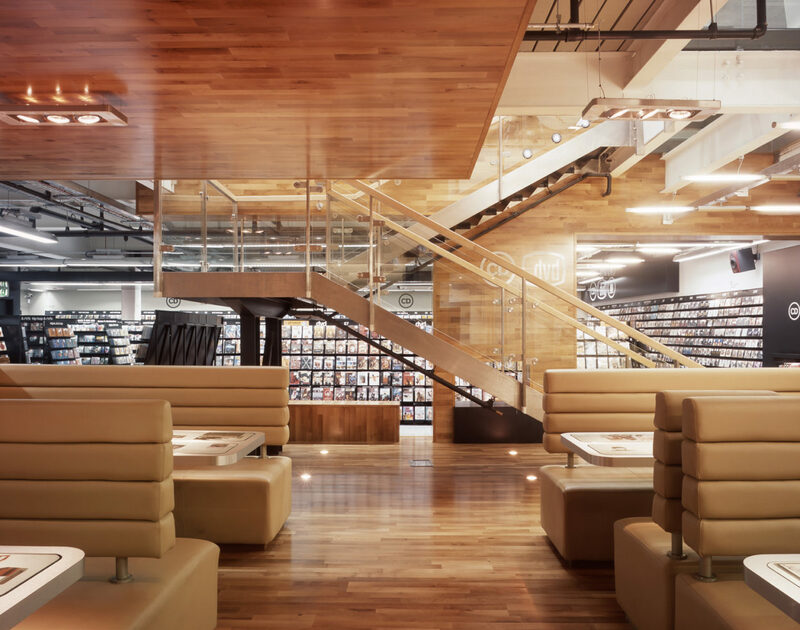 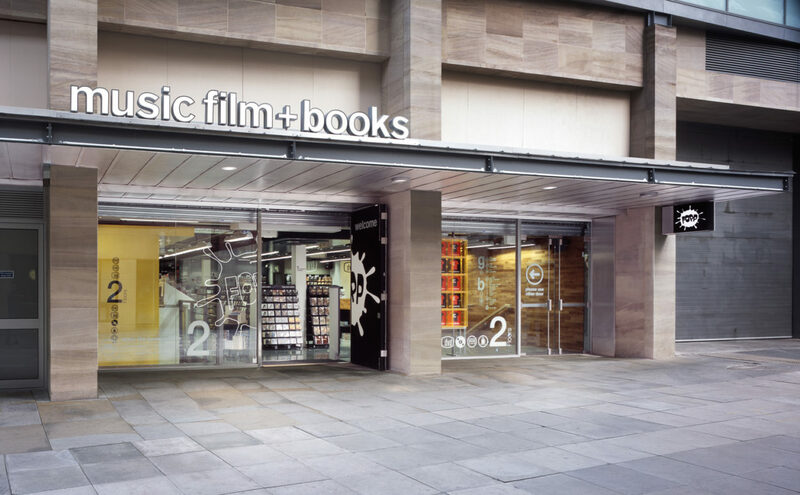 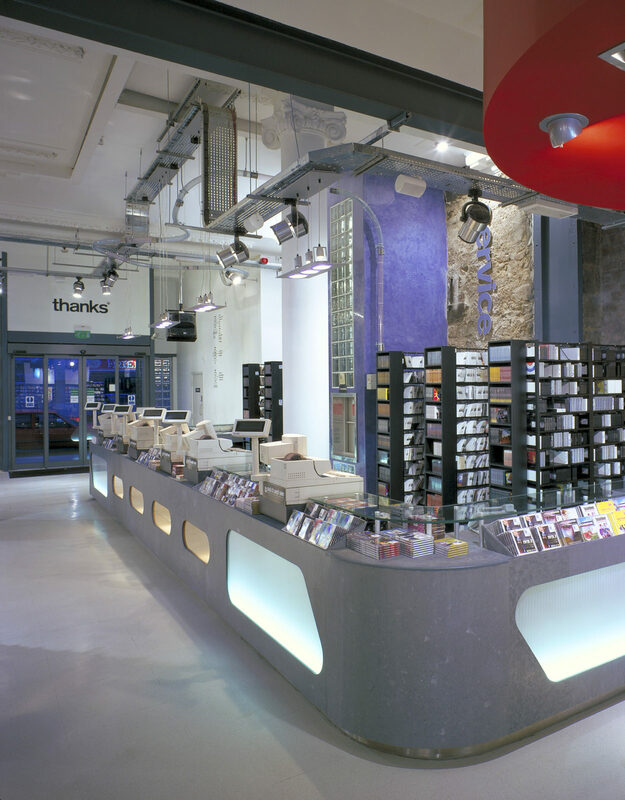 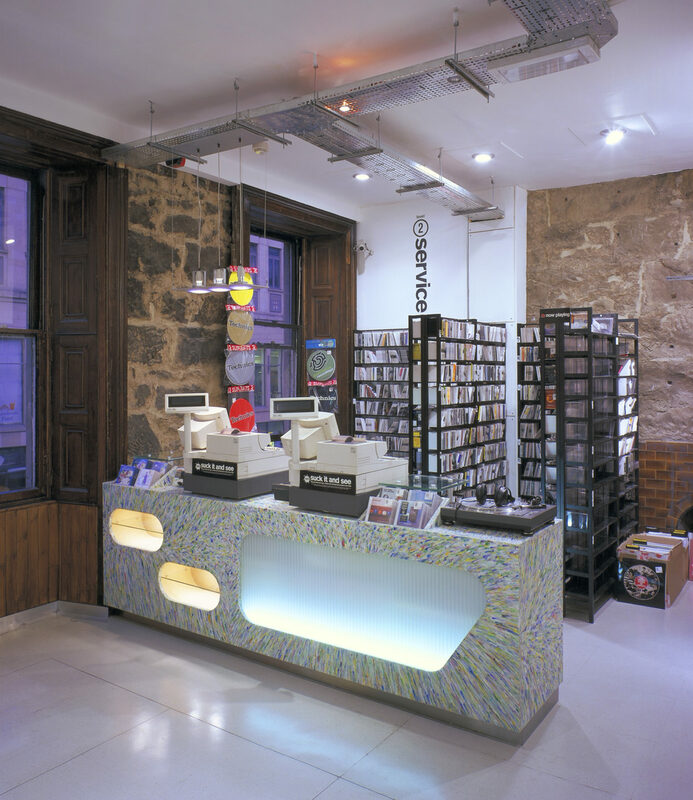 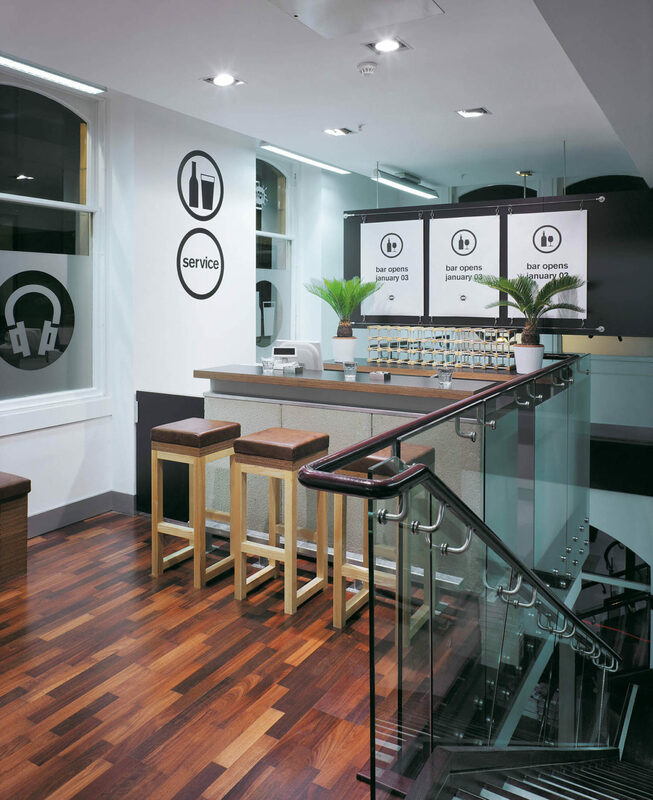 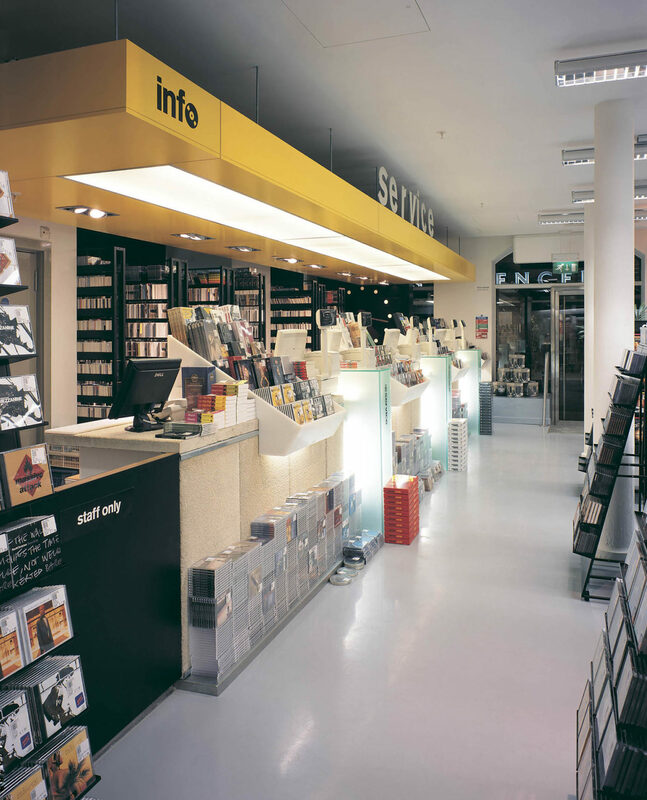 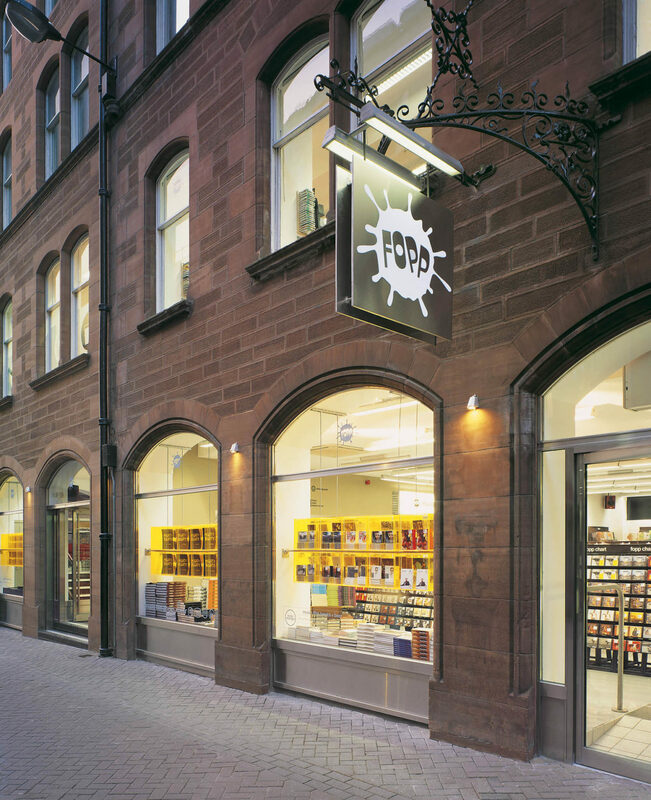 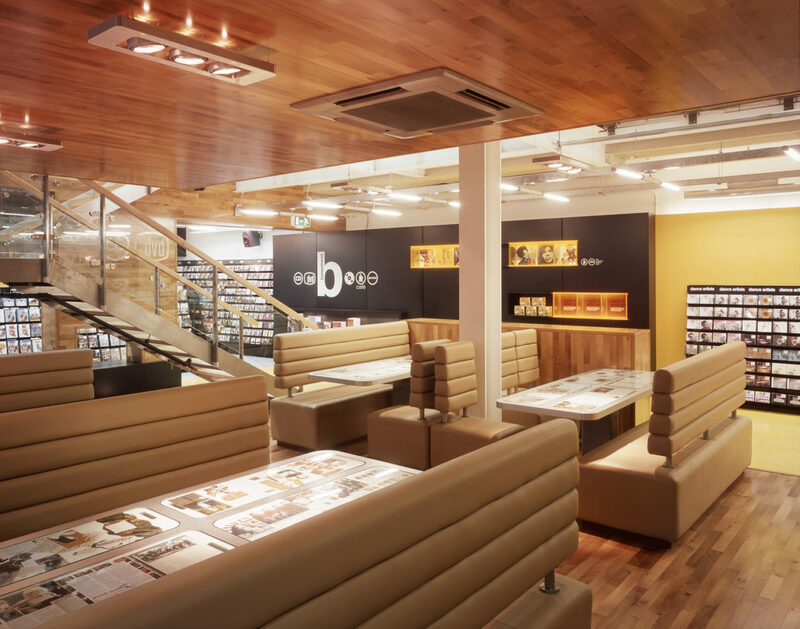 Following the successful design and completion of the new Fopp record store and headquarters in Union Street, Glasgow, Collective Architecture maintained a partnership with Fopp Ltd during the expansion of their business across the United Kingdom. 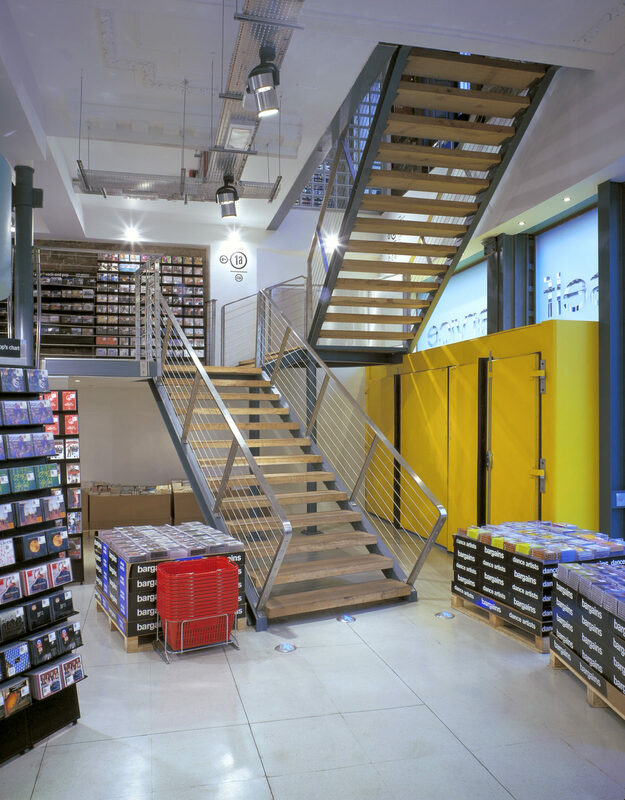 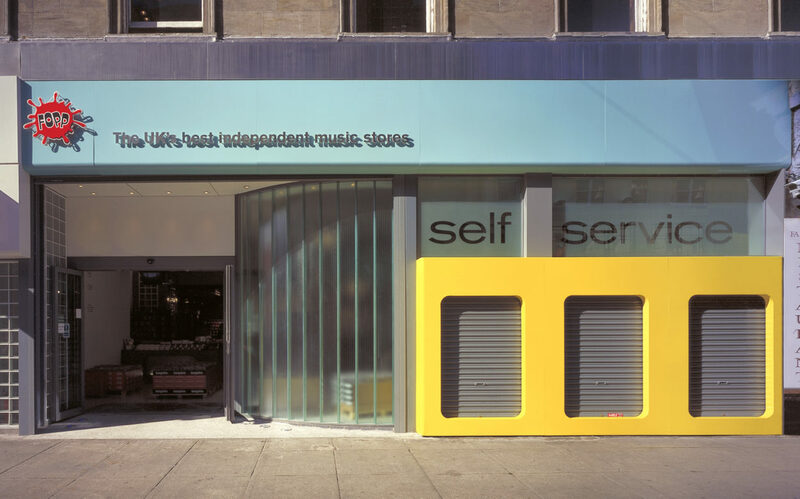 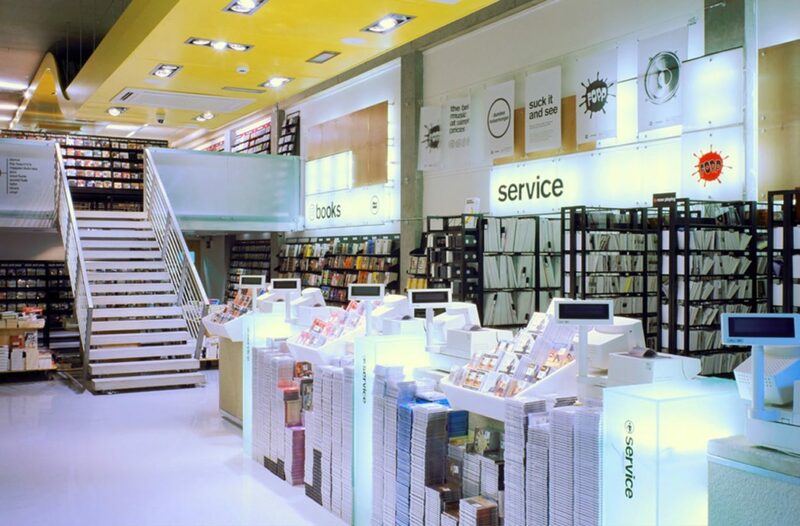 New stores were opened in Manchester, Edinburgh, London, Cambridge, Bristol, Dundee, Sheffield, Bath, Nottingham, Reading, Leamington, Aberdeen and Cardiff, designed by Collective Architecture. 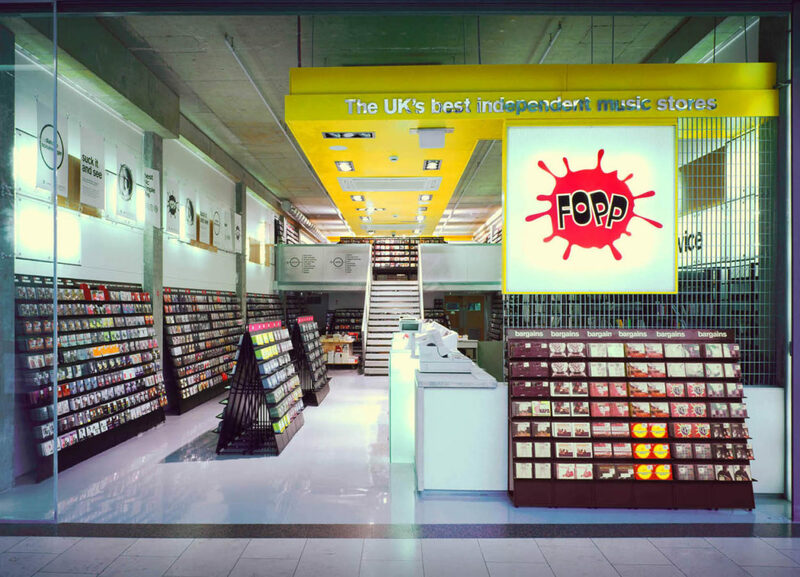 Collective Architecture helped develop a brand and identity for Fopp, with each store sharing common elements, whilst retaining a distinct identity unique to each location. 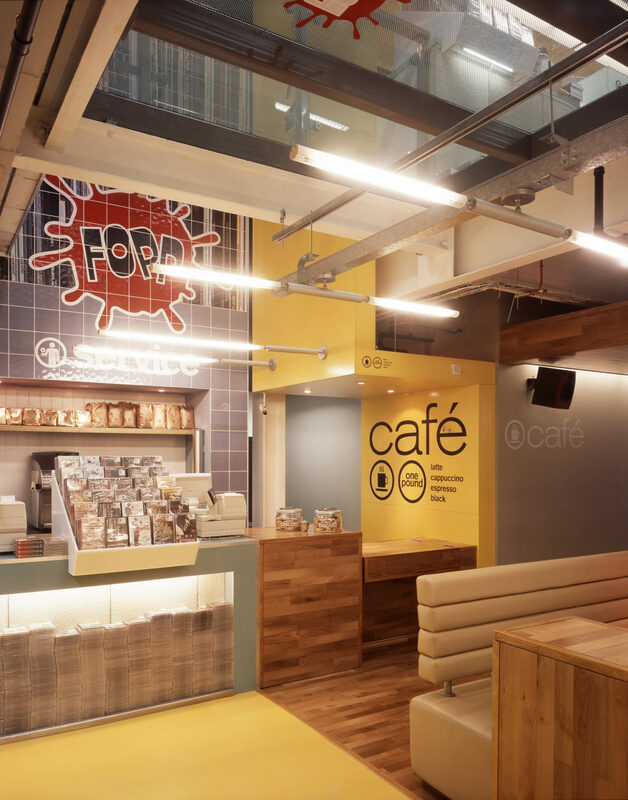 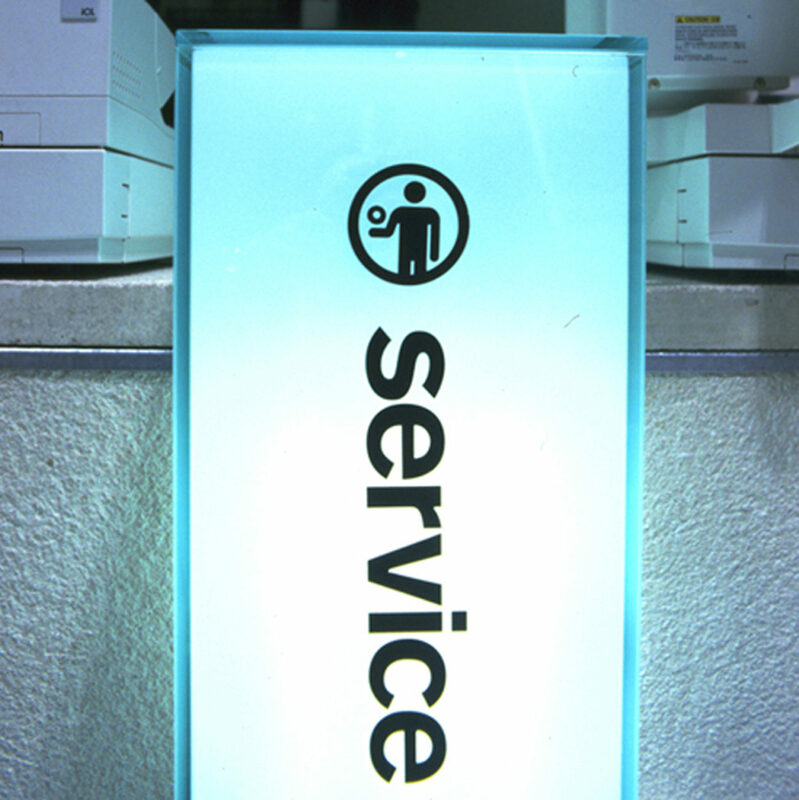 Fit out elements, including counters, services rafts and signage, were considered as complimentary sculptural elements within the spaces, leaving the existing building fabric exposed wherever possible.